Why do people travel? There are almost as many reasons as there are places to visit. Experiencing new cultures, listening to chatter in a new language, or even seeing the natural and geographical formations of an unknown place is absolutely thrilling. Add historical interests, artistic endeavors, and shopping adventures and it is a wonder that anyone stays at home! But amidst all of those fantastic reasons to hop on a plane, obtain a fresh passport stamp, and try something new is a universal equalizer – food. Everyone in the entire world, no matter where you come from, where you wind up, or the places you visit along the way, has to eat. When you travel, food is often a major part of whatever cultural experience you are seeking. So when you find a culture you like, why not try to bring some of your culinary experience home with you? Asian Cuisine is unique and diverse. Asia is the largest and most populous continent on Earth and is host to many cultures. With so many different dishes and cooking styles to choose from, it is nearly inevitable that you will find something delicious that resonates with you. Whether you are hoping to recreate an Indian curry, Japanese tempura, or Korean BBQ, there are ways to bring the flavors of Asia into your home. Below are several products that can help you to recreate everything from street meals to fine dining experiences. Choose a region to emulate, find a recipe, and get cooking! 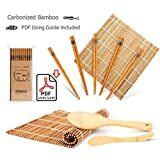 Bamboo steamers are incredibly versatile and can be used to cook vegetables, meats, seafood, and desserts. But the most common delicacy that you might want to recreate is the dumpling. This steamer was built very traditionally and is constructed of nothing but tightly woven bamboo. The design is attractive and efficient, keeping your food warm even once the steamer is brought to your table for service. If you hoping to recreate dim sum, soup dumplings, or a variety of other steamed foods you may have sampled in China, this culinary travels kitchen tool is an absolute must. Chopsticks were developed in China, but have since spread to many other Asian nations including Japan, Korea, Cambodia, Laos, Nepal, Malaysia, Myanmar, Singapore, Thailand, and Vietnam. 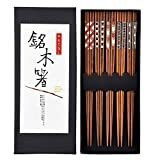 This beautiful set of hand-carved reusable chopsticks will give you and your guests a more authentic Asian dining experience. It barely even matters if you prepare a meal yourself or order take-out, simply using permanent chopsticks will automatically transport you to another culture. So stop using forks and spoons to enjoy foreign delicacies, and add these chopsticks to your cutlery drawer. What is Asian cuisine without rice? Whether you are enjoying Basmati Rice, Jasmin Rice, Short-Grained Rice, or any of the other dozen varieties, many Asian dishes rely on simple, well-cooked rice. 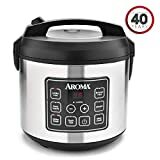 Most home chefs may already know that a simple rice is deceptively difficult to prepare, so invest in this rice-cooker and let the machine take care of it for you! 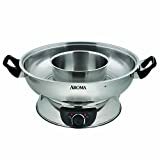 This culinary travels staple will yield 20 cups of cooked rice, giving you a great base for curries, stir-fries, or even sushi! Make Asian cooking easier with one of these sitting on your counter. Hot Pot is a popular meal preparation across many Southeast Asian cultures. Commonly, heated broth sits in the center of a hot pot, with raw ingredients around the outside edge. Throughout the meal, raw meats, vegetables, and dried noodles are dropped into the broth, only to be fished out and enjoyed moments later. Meals take a luxuriously long time, and as the broth grows richer with the flavors of the ingredients, the taste of each course changes slightly. This hot pot consists of dual heated compartments, with an adjustable power dial. It is a fantastic way to prepare traditional or experimental hot pots with your friends and family, all from the comfort of your own home! It would be a crime to discuss Asian cuisine without mentioning sushi! This incredibly popular Japanese preparation of rice, vegetables, and fish has swept the world with the deliciously fresh flavors and unique presentation. So why not attempt to prepare it at home? This beginner’s sushi making kit includes two rolling mats, five pairs of chopsticks, a rice paddle, a spreader, and a beginner’s guide. So whether you want to start out conservatively with just some vegetable rolls, or feel confident to jump right into raw fish, this kit will help you prepare sushi masterpieces right on your own countertop. If Korean BBQ is your Asian cuisine of choice, then this non-stick grill pan should absolutely be in your arsenal. It is essentially a table top BBQ grill to use right on top of a gas stovetop. It won’t be quite as intimate as grilling your foot together around an inset grill, but you can still have fun together grilling around the stove in your kitchen! 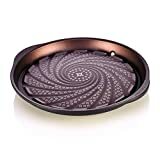 The unique swirled draining design helps to slowly drain the oil out of your pan, which both adds to the flavor and removes some fat. If you are a Korean food fan then this culinary travels item is an absolute must for you. If you are looking to recreate your favorite Indian dishes at home, you are going to need the proper spices! 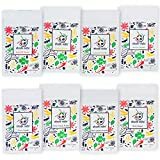 The unique and delicious combination of spices found in Indian food can be difficult to find in grocery stores – but these adorable little spice packets available on Amazon contain eight of the most commonly used Indian spices. Spices include turmeric, cumin powder, coriander powder, garam masala, dry mango powder, black pepper powder, chili powder, and whole black peppers. So if you are looking to create any of the delicious dishes you tried overseas in India, make sure you have a few of these packets in your pantry! Relive your travels right from the comfort of your own kitchen with these culinary travels inspirations. Happy cooking!